The authoritative translations of The Inferno, The Purgatorio, and The Paradiso—together in one volume. 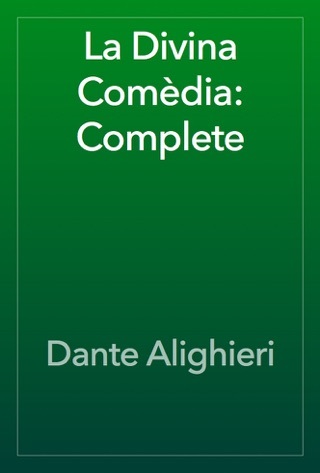 Belonging in the immortal company of the great works of literature, Dante Alighieri’s poetic masterpiece, The Divine Comedy, is a moving human drama, an unforgettable visionary journey through the infinite torment of Hell, up the arduous slopes of Purgatory, and on to the glorious realm of Paradise—the sphere of universal harmony and eternal salvation. 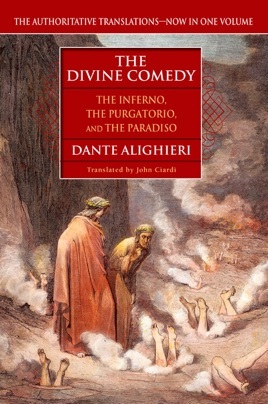 Now, for the first time, John Ciardi’s brilliant and authoritative translations of Dante’s three soaring canticles—The Inferno, The Purgatorio, and The Paradiso—have been gathered together in a single volume. 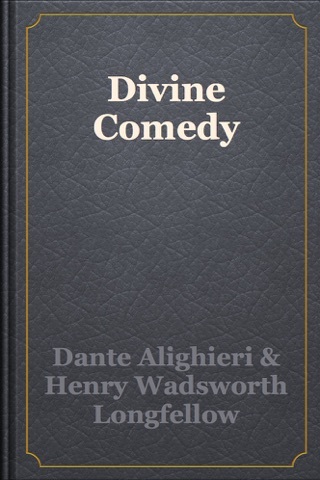 Crystallizing the power and beauty inherent in the great poet’s immortal conception of the aspiring soul, The Divine Comedy is a dazzling work of sublime truth and mystical intensity. 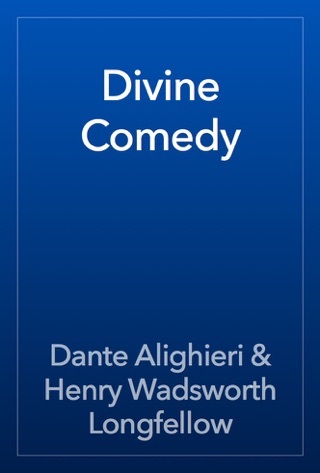 Do we really need yet another translation of Dante s world-famous journey through the three parts of the Catholic afterlife? We might, if the translator is both as eminent, and as skillful, as Clive James: the Australian-born, London-based TV personality, cultural critic, poet and memoirist (Opal Sunset) is one of the most recognizable writers in Britain. 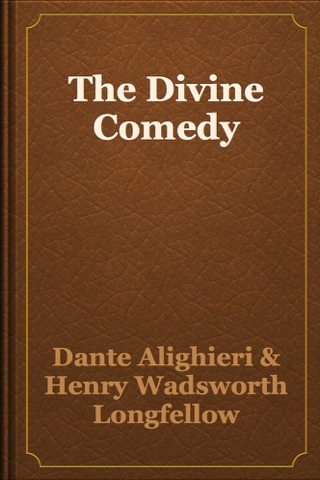 James s own poetry has been fluent, moving, sometimes funny, but it would not augur the kind of fire his Dante displays. Over decades (in part as an homage to his Dante-scholar wife, Prue Shaw), James has worked to turn Dante s Italian, with its signature three-part rhymes, into clean English pentameter quatrains, and to produce a Dante that could eschew footnotes, by incorporating everything modern readers needed to know into the verse from the mythological anti-heroes of Hell through the Florentine politics, medieval astronomy, and theology of Heaven. Sometimes these lines are sharply beautiful too: souls in Purgatory had their eyelids stitched with iron wire/ Like untamed falcons. Even in Heaven, notoriously hard to animate, James keeps things clear and easy to follow, if at times pedestrian in his language: I want to fill your bare mind with a blaze/ Of living light that sparkles in your eyes, says Dante s Beatrice, and if the individual phrases do not always sparkle, it is a wonder to see the light cast by the whole. 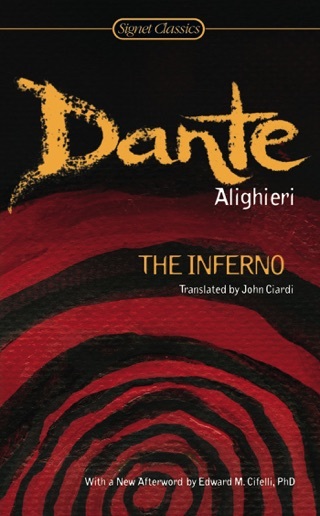 Dante's work is one of the most powerful pieces of literature ever written and it deserves to be read in a translation that can do it justice. This is that translation. Though journeys into the afterlife are common in literature, no one captures the experience like Dante. 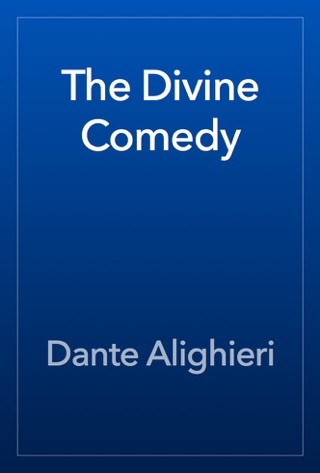 Riveting and beautiful, Dante explores much of the human condition. It is (as T.S. Eliot famously observed) only rivaled by Shakespeare in its impact on literature and culture. Although, some cantos are missing. It says "encoding error"
Not bad if you're looking for something light.